Exit subway through exit#3 and wlk straight for 20m. Then you will see the main gait. 생체신호 및 정보 연구실과 생체계측신기술연구센터는 서울 종로구 연건동에 위치한 서울대학교 연건캠퍼스에 위치하고 있습니다. 서울대학교 의과대학, 치과대학, 간호대학 및 서울대학교병원, 서울대학교 치과병원 역시 연건 캠퍼스에 속해 있습니다. 의학캠퍼스인 연건캠퍼스에 위치하고 있는 우리 연구실은 정신의학과, 신경과, 내과, 마취통증의학과 등 많은 의료전문의들과 공동연구를 수행하고 있으며, 서울대학교 의학연구원, 서울대학교병원 의공학과 등 많은 지원 그룹들이 있어 바이오공학을 연구하기에 최적의 장소라 생각됩니다. 우리 연구실에 속해 있는 학생들은 대부분 공과대학 협동과정 바이오엔지니어링 전공 (2007년 이전 입학자들은 협동과정 의용생체공학 전공)의 학생들이며 의과대학 의학과 의공학전공 및 자연과학대학 협동과정 계산과학 전공 등 많은 전공분야의 연구진들로 구성되어 있습니다. Biomedical Signal and Information Laboratory (BMSIL) is located in Medical Campus in Youngon-Dong, Chongno-Gu, Seoul. Hospital and College of Medicine of Seoul National University are also located in this area. 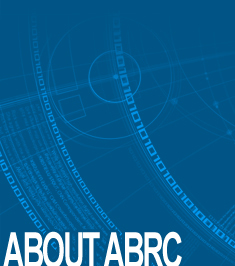 There located also Advanced Biometric Research Center (ABRC), which is closely related with BMSIL in their activities. With clinical collaborating groups and other supporting biomedical engineering facilities BMSIL in medical campus is the right place for the researches in biomedical engineering. Students joined this BMSIL have their classes in this campus and in main Kwanak Campus, which is located abut 1-hour drive distance.